Under the patronage of H.E. 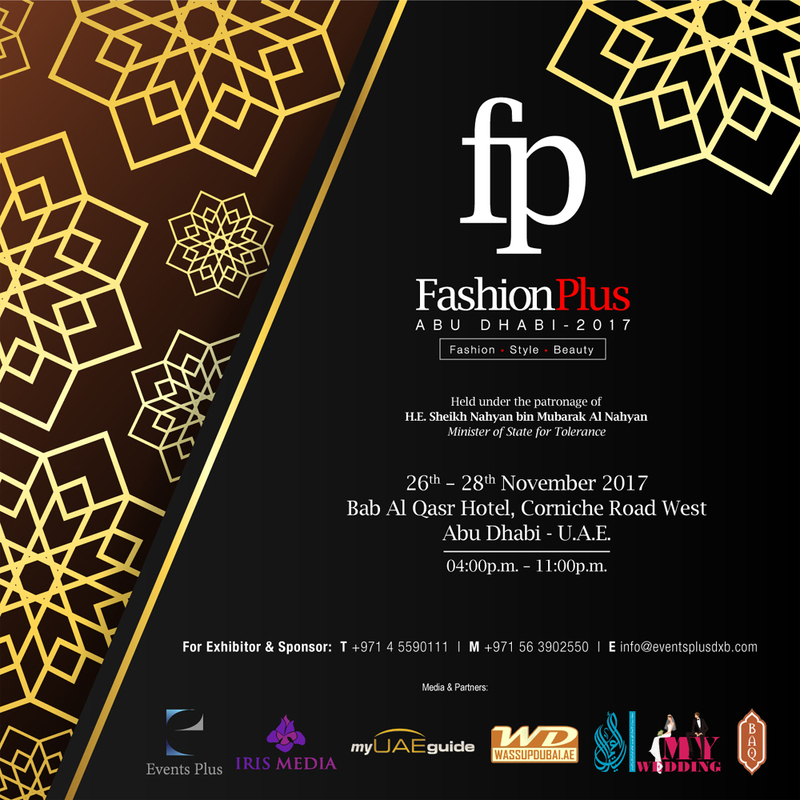 Sheikh Nahyan bin Mubarak Al Nahyan, Fashion Plus Abu Dhabi 2017 will take place on Sunday 26th November, Monday 27th November & Tuesday 28th November at Bab Al Qasr Hotel, Corniche Road West, Abu Dhabi, UAE from 4 pm till 11 pm. The Fashion Plus will highlight Arabic Fashion with pavilions dedicated to clothing, jewellery, perfume, bridal, skin and beauty demo stations. It will feature classic and contemporary styles including abayas, jalabiyas, caftan, dresses. For Info / Exhibiting & Sponsorship email to info@eventsplusdxb.com or call +971 56 3902 550.